We thought you might like to see where all of your Kiltwalk donations ended up. 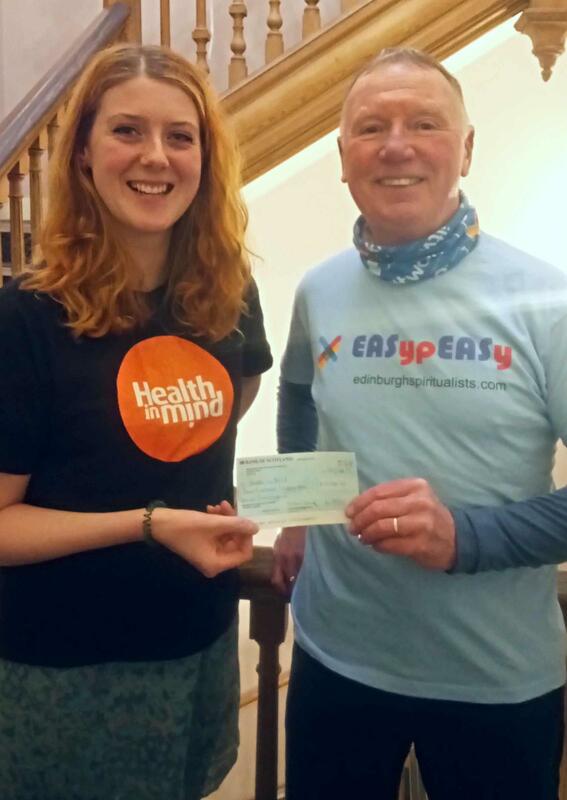 Alan handed over our cheque today to Sam, Health in Mind. This is Sam’s thank you to all of you. Support 514 people to take part in local groups and activities. Provide 57 session of counselling for survivors of childhood abuse. As you can see, that’s a lot of people your money will help. We absolutely would not be able to deliver our mental health services without help from supporters like you.